I was born in Ottawa, Canada, but spent a large chunk of my childhood in Istanbul, Turkey. I’ve also been lucky enough to live in Montreal, Toronto, British Columbia, Zurich, Hong Kong, London, Swansea, Exeter, and on a boat in the Mediterranean. I studied Oceanography and Zoology at University, and started my working life in banking. After 14 years, I re-retrained as a secondary school teacher, specialising in Maths and Science. 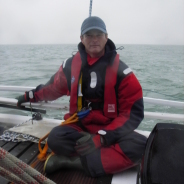 In 2009 I shifted to work as a professional sailor, delivering RYA courses, delivering boats and working for a mental health sailing charity. 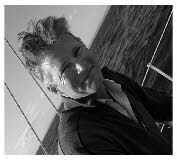 In 2015 I set up Blue Albatross Coaching. I now offer Coaching and Training to Personal and Business clients. Throughout my life the 2 key elements that have prevailed are a love of the water and a love of helping people learn and grow. I have dreamed of being able to make a living by combining these two and I have set up Blue Albatross to chase this dream.